A bill introduced Monday by some U.S. senators aims to repeal net neutrality rules under the Federal Communications Commission’s 2015 Open Internet Order, and ban the agency from issuing similar regulations in the future. The legislation aims to give some permanence to recent moves by the Republican-dominated FCC to repeal provisions of the 2015 order. There are concerns that if the FCC at some point comes under the control of Democrats, it will promptly restore the rules under the 2015 Open Internet Order. The Restoring Internet Freedom Act was introduced by Senator Mike Lee, a Republican from Utah, and is cosponsored by eight other Republicans including Ted Cruz, senator for Texas, and Rand Paul, senator for Kentucky. FCC chairman Ajit Pai introduced last week his own plan to modify parts of the 2015 net neutrality rules, including the FCC’s two-year-old classification of broadband as a regulated telecom-like service. The FCC will vote on May 18 to start repealing the rules. The 2015 rules, which reclassified broadband as a regulated public utility by invoking Title II of the Communications Act, were introduced by the agency under the administration of President Barack Obama. The FCC had voted 3-2 in February 2015 in support of the rules that would prohibit providers from selectively blocking or throttling or offering paid prioritization of internet traffic. The bill has been introduced on the same day an appeals court declined to rehear its decision last June to uphold the 2015 net neutrality rules. Broadband trade groups are expected to appeal against the decision in the Supreme Court. “We’ve always supported legislation to resolve the ‘net neutrality’ fight but a Supreme Court ruling may be the only way to motivate Democrats to negotiate after two years of rebuffing Republican offers to compromise,” said Berin Szóka, president of nonprofit think-tank TechFreedom, in a statement after the court decision. A version of the bill introduced last year had proposed to prohibit the FCC from reclassifying broadband Internet access service as a telecommunications service and from imposing certain regulations on providers of such service. Pai has proposed rolling back the Title II classification and the reinstating of the information service classification of broadband internet access service, combined with a “light-touch” regulatory framework. 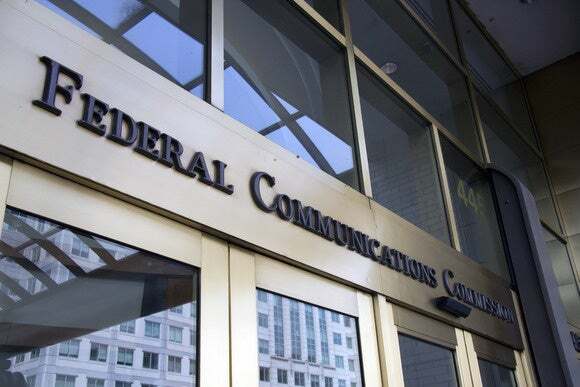 The removal of the Title II classification would return regulatory control of the privacy practices of internet service providers from the FCC to the Federal Trade Commission, which already monitors the privacy practices of Internet companies like Google and Facebook, the FCC said.